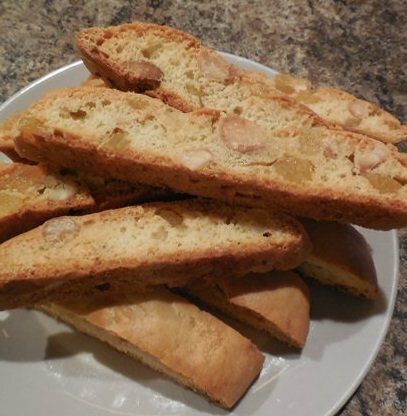 In the Nut and Fruit Biscotti collection you will find the recipe that started my love for this Italian cookie, "Orange Biscotti", I like it best with the optional nuts and cranberries. 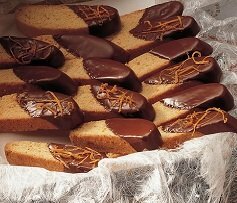 Most Biscotti are a combination of fruit usually dried, and/or nuts, often toasted. The combination is classic and delicious. 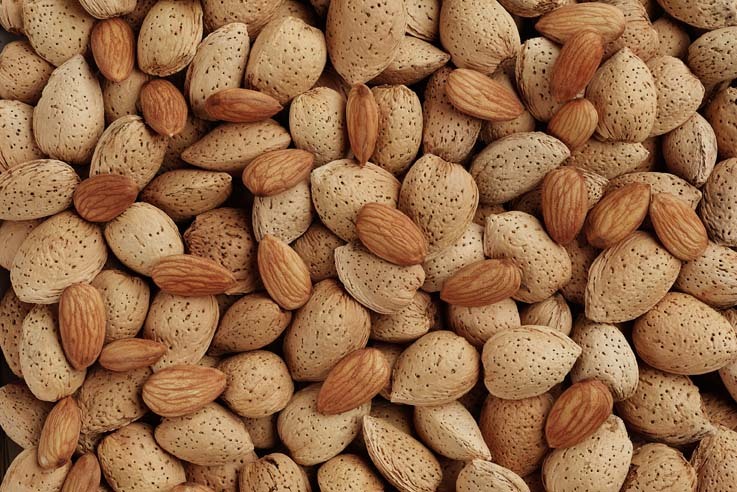 In this collection you will find all kinds of nut and fruit combinations, other than Almond. Almond has its on recipe collection because it is SPECIAL!!! And the descendant of traditional Italian recipes. Today! Bakeries have taken the almond biscotti recipe from its, unassuming, origin and turned them into artisan delights. All sorts of nuts, fruits, extracts and liqueurs are now be used to create all sorts on new flavor combinations. It has been said that "there is a flavor for every palate". With some experimentation you could easily create your own unique combination from among the following common nuts and dried fruits. 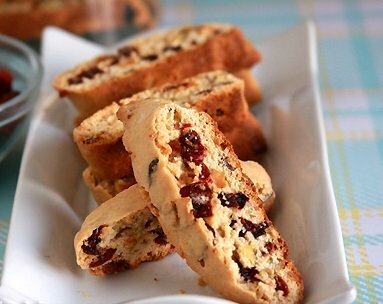 If one was to create recipes that included only one nut, or one dried fruit, or a combinatoin of one nut with one dried fruit from this list that would come to a total of 191 different biscotti recipes. And that is a lot of Biscotti! Here is an excelent source for buy nuts and dried fruit on line! I personally not only buy nuts and fruits but dried peppers, spices and extracts as well. Some nuts and fruits go better together, but that is a matter of taste and preference. Still there is plenty of room for experimentation and creativity. If you would like learn more about the nuts on this list and how to toast them to bring out their flavor, then visit our page on ABOUT NUTS. Dried fruit, is fruit from which the majority of the original water content has been removed either naturally, through sun drying, or through the use of specialized dryers or dehydrators. Dried fruits are some of the healthiest alternatives to refined sugar, and they are an excellent way to satisfy a sweet craving. 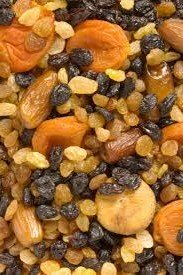 Dried fruit has a long tradition of use dating back to the fourth millennium BC in Mesopotamia, and is prized because of its sweet taste, nutritive value, and long shelf life. Today, dried fruit consumption is widespread. A good reason for this is that dried fruit is a quick and tasty way to get healthy benifits during a busy, fast-paced day. Nearly half of the dried fruits sold are raisins, followed by dates, prunes, figs, apricots, peaches, apples and pears but the list growing daily. In today’s market one will find a vast array of dried fruits, including dried, chockberries, cantaloupe, Goji Berries, gooseberries, guava, kiwi, lemons and limes. So as you can see the possible combinations of nut and fruit Biscotti is almost endless. if not then try any of these recipes. They are all delicious.